If you’re looking for a mobile locksmith, call Queensland’s leading mobile locksmith now on 1800 550 750. 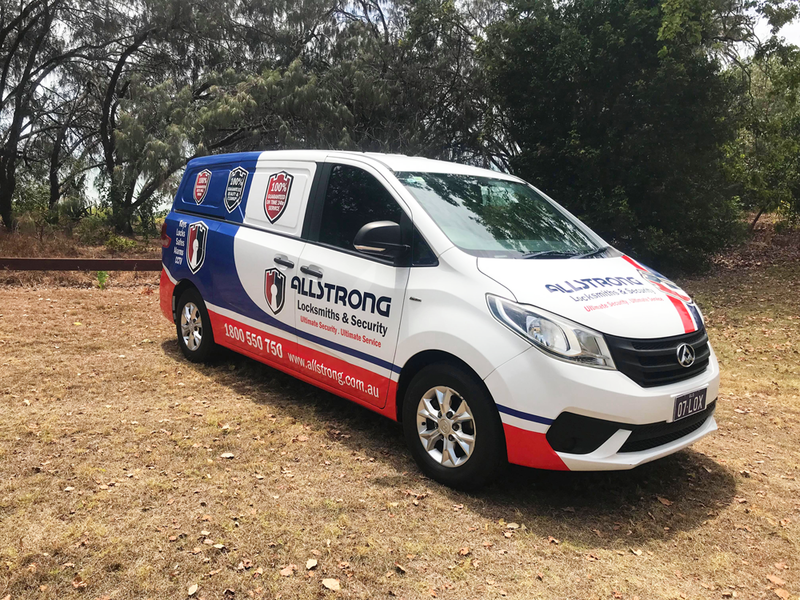 Allstrong mobile locksmiths come to you, for all your domestic and commercial locksmith, key cutting and security needs. Locked out of your car, house or business? Just moved in and need your locks replaced? Want a thorough review of your home or office security? When you need an emergency mobile locksmith, you don’t want to wait around. Our six great looking, fully equipped mobile locksmith service vans mean we can deliver all your locksmith needs onsite at your home or business, 24 hours a day, 7 days a week. We get there fast! And with Allstrong Locksmiths you’ll always receive ultimate security and ultimate service – guaranteed. For the ultimate Mobile Locksmiths call now 1800 550 750. Mobile Locksmith Hervey Bay and surrounding areas!